Email rhea@karmamanagementinc.com for more information! Larry Novak – Larry Novak is the Senior Director of Structural Engineering & Codes for the Portland Cement Association. Prior to joining PCA, he was an Associate Partner with Skidmore, Owings & Merrill where he served as the lead structural engineer for the Burj Khalifa, the world’s tallest building. Novak serves on several technical committees, including the ACI 318 Code committee and the ACI 130 committee on Sustainability of Concrete. He has served as Director on the governing board for organizations including SEAOI, TCA and the Illinois Engineering Hall of Fame. He was selected as the “Centennial Lecturer” in engineering and was named the “Citizen Engineer of the Year” by the Illinois Chapter of ASCE. In 2010, he was selected as the ACI “Educational Speaker of the Year” and in 2017 he was bestowed the ACI “Educational Award” for his contributions to the industry. A new accredited course specifically designed for architects and engineers debuts in Birmingham, AL on December 15th. 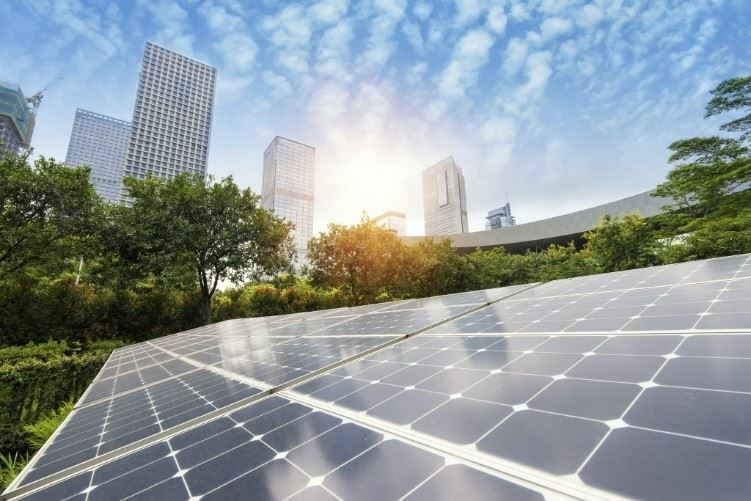 The training includes design considerations for incorporating solar photovoltaics (PV) into buildings, how to speak with clients about the benefits of solar PV, where to find information on financial incentives, and much more. The one-day training was developed by the Building Codes Assistance Project (BCAP), the Center for Sustainable Energy (CSE), and national solar energy experts, in partnership with AIA Alabama, AIA Birmingham, ASHRAE Birmingham Chapter, and ACEC of Alabama. The cost of the training includes lunch and is reduced due to sponsorship by the U.S Department of Energy’s SunShot Initiative: regular price is $150; AIA and ASHRAE members pay just $125; NGOs, veterans, and students - just $15. Continuing education credits: 6.5 AIA LU/HSW, 0.65 ICC Preferred Provider CEUs, and 6.5 GBCI, are provided. 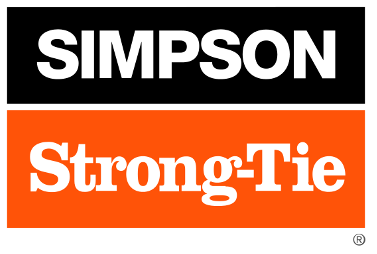 On November 28, 2017, Jason Thompson, PE of the National Concrete Masonry Association will be at the lunch speaker for the AIA North Alabama Chapter Meeting. The program will provide 1 HR of HSW CEU’s for architects or 1 PDH for engineers. Following the luncheon, Jason will provide 2 additional hours of education for individuals who need additional continuing education hours. 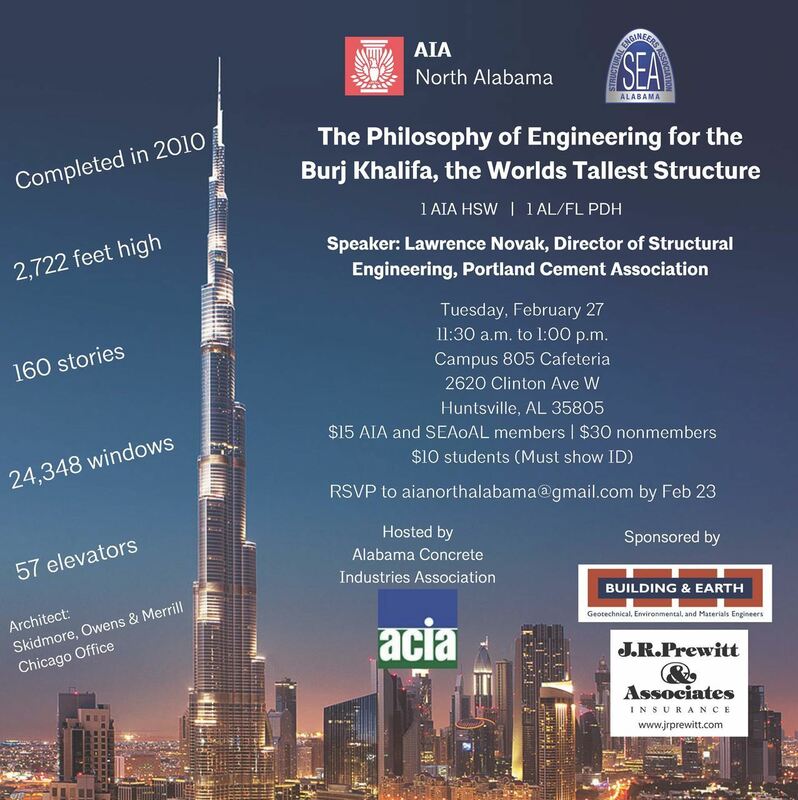 The event will provide a possible 3 hours of AIA approved HSW CEUs or PDHs. Certificates will be issued to both architects and engineers following each hour. 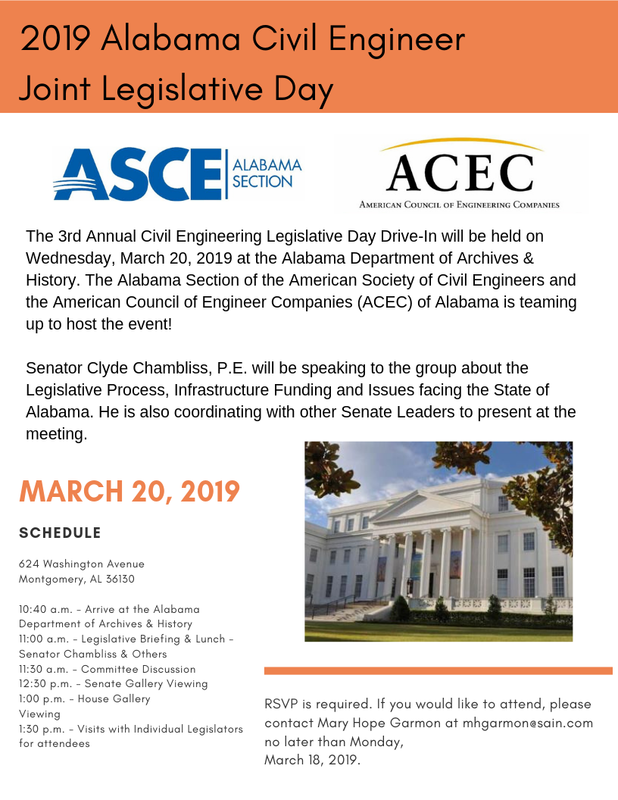 The cost for the program is being covered by the Alabama Concrete Association so there is no cost to attend. We will be having a lunch and learn with Atlas Tube on November 8th. Atlas Tube is the top producer of HSS sections in North America, and they now have a mill located in Birmingham. They also provide resources for designing and specifying HSS products. During lunch, their representatives will present to our group, and we will follow up lunch with a quick tour of the mill. Please RSVP to Blake Greene, bgreene@tuckerjones.com, if you will be able to join. 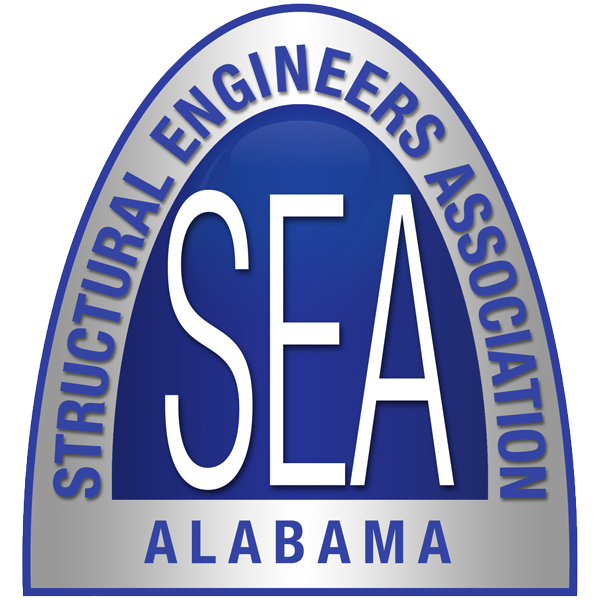 AL Concrete Association to offer 8 hours of Continuing Education in September! Need continuing education hours? The ACIA is offering 8 hours of HSW learning units this month for only $30. The cost includes breakfast and lunch. Certificates will be provided plus the ACIA is a registered AIA provider. For your convenience, the ACIA is offering 3 locations. The programs also provide PDH credit. Day of Concrete Knowledge is designed to provide valuable education programs on concrete topics. This full-day seminar provides 8 hours of AIA approved HSW and PDH credits. Certificates will be issued to both architects and engineers. There is a fee of $30 to attend. 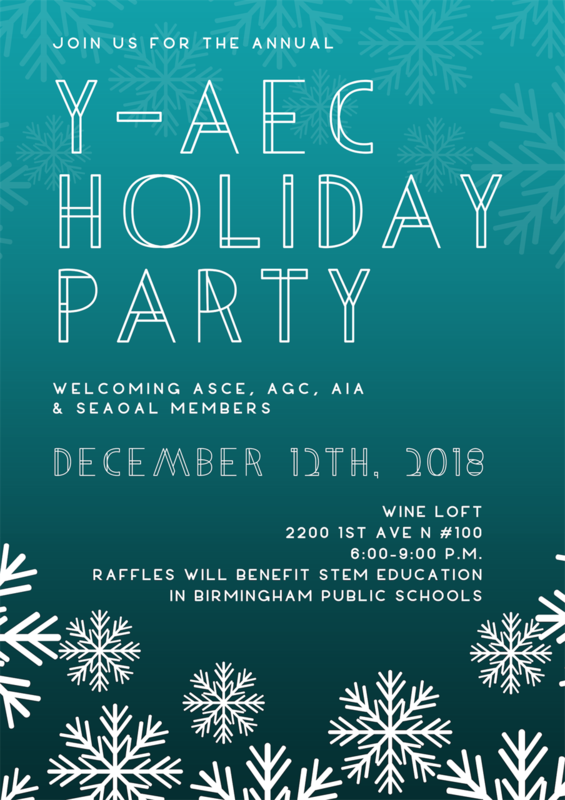 All proceeds will go to your choice of the AIA Foundation or the Alabama Concrete Industries Foundation (ACIF). The ACIF yearly awards two $8,000 scholarships to students enrolled in architecture, engineering or building science at one of the state’s universities. Payments can me made online or the day of class.